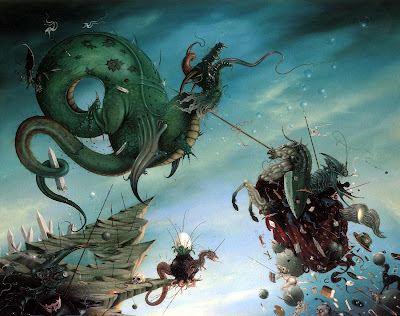 Hans paints incredibly detailed compositions of surreal creatures in blank dream like landscapes of blue sky and cloud. 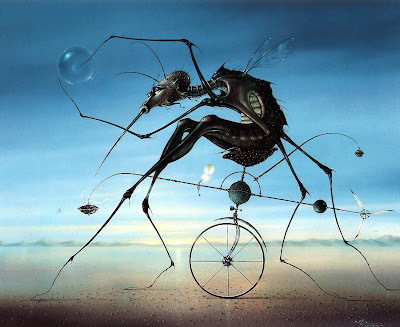 His work resembles a more nightmarish and figurative version of the paintings by Yves Tanguy. 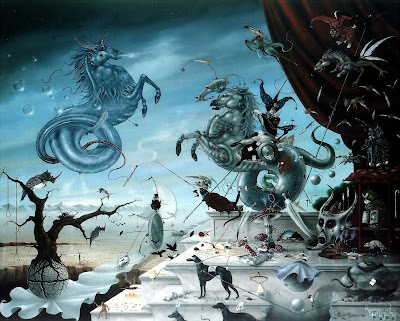 More works by the artist can be seen at the official website of Hans Kanters here. And don't miss the incredible bronze statues by the artist on display. If you'd like to see more I'd suggest browsing some of the top links on google. 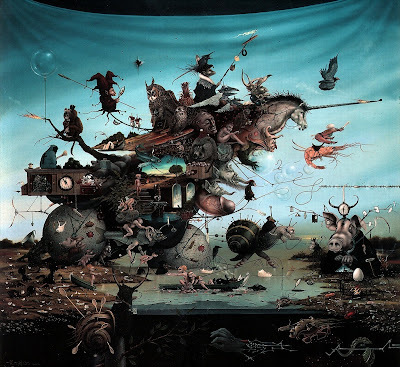 Hans Kanters's work seems strongly reminiscent of Hieronymus Bosch or Dali's work. 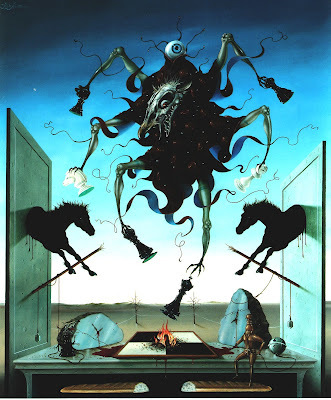 Not to say he isn't original; his work is brilliant. You are rightn, the bronze statues are nice.